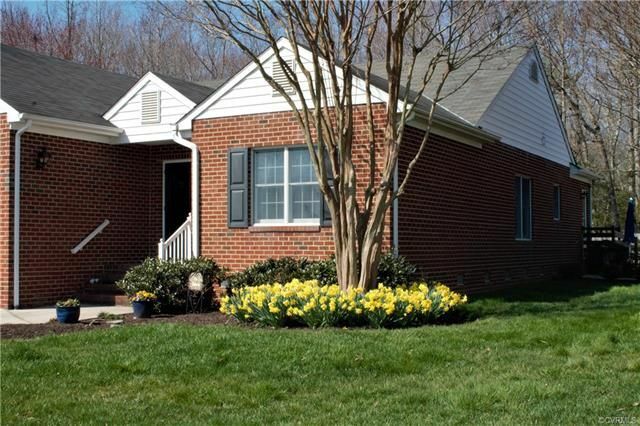 Welcome to this move-in ready brick patio home located in the premier community of Braxton. Beautifully maintained, and all on one floor, this home was built by WS Carnes to accommodate 55+ residents for a maintenance free life style. Located on a cul de sac, traffic is minimal. There are two spacious bedrooms and a smaller third bedroom (w/ large window and doors) currently used as an office and 2 full baths. This home boasts shinny hardwood floors in the main rooms and ceramic tile in the baths. With a huge 2 car attached garage, you will have ample storage for vehicles. A fishing pond and walking trails are some of the amenities found in Braxton. There is a club house for use of private events, resident parties and meetings. The irrigation system is fed by the pond, not your personal water and is maintained by the association. From your patio, enjoy the tranquil setting surrounded by trees and privacy. Home comes ready with a working portable generator (pre-wired), extra insulation around attic steps, an updated HVAC system, updated water heater and many other features, along with HMS warranty. This charming home is a must see conveniently located to major highways.